3 PLAYGROUND BALLS!!! 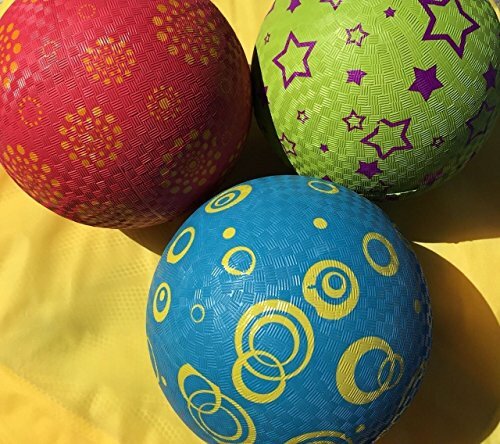 TOP QUALITY HEAVY DUTY 2-PLY RUBBER BALLS!!! USE FOR DODGE BALL KICK BALL OR FOUR SQUARE!!! GREAT FOR PARTIES! 8.5" IN DIAMETER!!! MATERIAL: 2-PLY RUBBER. THIS LISTING IS FOR 3 BALLS!!! THESE BALLS ARE SOLD DEFLATED!!! If you have any questions about this product by Pass, contact us by completing and submitting the form below. If you are looking for a specif part number, please include it with your message.